Ken Reisenfeld is among the world's leading advocates and arbitrators in complex cross-border contract, commercial, licensing and investment treaty disputes. Over the past 35 years, Ken has litigated cases or been appointed as an arbitrator in proceedings administered by the most prominent international and regional arbitration centers around the world and in significant ad hoc tribunals, including in investor-state and state-to-state arbitrations. Since his early years litigating expropriation claims before the Iran-U.S. Claims Tribunal, he has developed significant experience representing sovereign government entities and multinational companies in investment disputes governed by contract, investment treaties or public international law. Ken also regularly serves as advocate or arbitrator in complex contract, commercial, technology, telecommunications, pharmaceutical, IP licensing, M&A, energy, mining, international distribution and construction/infrastructure arbitrations, and in judicial enforcement proceedings around the world. Placing a high value on his strategic approach and thorough preparation, clients call upon Ken for effective, efficient and knowledgeable advocacy and solutions. Ken has been recognized by leading publications relying on client recommendations and independent peer reviews, including Chambers, International Who’s Who of Commercial Arbitration, Super Lawyers, and Euromoney’s Guide to the World’s Leading Experts in Commercial Arbitration, among others. 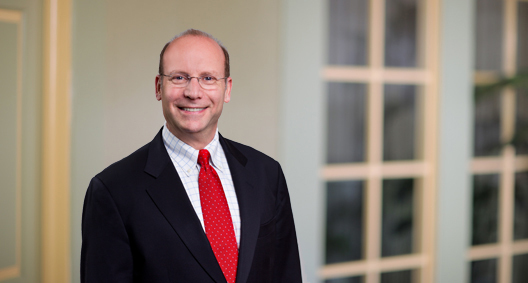 From 2012 to the present, Chambers Global and Chambers USA have ranked him as a top practitioner in international arbitration, noting Ken’s “high acclaim from market commentators,” and “praise [for his] very creative and well-thought-out approaches” to cases, as well as his “extensive experience in acting as counsel and arbitrator in a range of commercial and investment treaty arbitrations.” Chambers USA (2012). A former Chair of the American Bar Association’s 25,000-member International Law Section, Ken is regularly invited to speak and write on international dispute resolution topics and to provide strategic dispute avoidance counseling for in-house counsel. He has also helped establish standards for advocacy before international tribunals, serving as a co-author of the American Bar Association and American Arbitration Association Code of Ethics for Arbitrators, the International Bar Association (IBA) International Principles on Conduct for the Legal Profession, and the new IBA Guidelines on Party Representation in International Arbitration. Represents a significant European financial institution and its owners in a prospective International Centre for Settlement of Investment Disputes (ICSID) arbitration in respect to discriminatory measures adopted by bank regulatory authorities, public prosecutors and courts against the bank in violation of protections afforded investors under the applicable Bilateral Investment Treaty. Served as an arbitrator in a significant International Centre for Dispute Resolution (ICDR) case raising financial accounting, misrepresentation and warranty issues arising from the purchase and sale of the aviation operations of a major European manufacturer. Served as an arbitrator in a significant ICDR arbitration between a U.S. licensor and a leading Asian telecommunications manufacturer of 2G and 3G handsets relating to alleged breaches of patent licensing agreements, including their royalty and audit provisions. Assisted foreign counsel in a significant ICC arbitration involving breach of contract, engineering and construction claims brought by a multinational joint venture against a state-owned oil company relating to the construction of a $1.5 billion petroleum refinery and pipeline in Mexico. Negotiated various construction and engineering service agreements (FIDIC and non-FIDIC) relating to significant projects in Asia and the Middle East and often including alternative dispute resolution provisions (e.g., senior executive negotiation, mediation, expert determination or dispute review boards) in addition to final and binding arbitration. Served as sole arbitrator in an ICDR arbitration involving alleged breaches of global logistics and supply chain management support for the construction of a solar thermal booster project in Australia. Defended Outback Steakhouse, a global food and beverage franchise company, in Argentine and U.S. courts against recognition and enforcement of a $100 million ICC arbitration award that purportedly had been obtained by an Argentine franchisee against Outback Steakhouse. Award was set aside. Represented an Isle of Man company in a significant commercial and breach of fiduciary duty arbitration case seeking more than $500 million from a South Asian government. The case was seated in London, England, and governed by the English Arbitration Act 1996 along with the arbitration rules of the Chartered Institute of Arbitrators. A related bilateral investment treaty claim under ICSID rules was also pursued. Served as special outside arbitration counsel for the U.S. government and the Overseas Private Investment Corporation (OPIC), a U.S. government agency, in an unprecedented state-to-state investment arbitration proceeding against the Government of India stemming from the Indian government's expropriation of the $3 billion Dabhol power plant, which ultimately led to a settlement whereby India paid OPIC 100 percent of its claims and paved the way for quarterly high-level talks between the two governments. Advised a U.S. government entity with respect to potential investment claims against the Bolivarian Republic of Venezuela. On behalf of sovereign entities, negotiated the international dispute resolution agreements for long-term, large-scale investment and project agreements for ports, mines and transportation projects. Represented the Republic of Indonesia in one of the longest-running arbitration and nullification cases in ICSID history relating to an alleged expropriation of hotel properties. Represented a mining company in its ICSID investment treaty claims against a West African country for expropriation of its properties and interests. Defended the Republic of France under the Foreign Sovereign Immunities Act against an unsuccessful attempt in U.S. District Court to attach the Embassy's bank account in Washington, D.C. Represented several large U.S. companies in the successful pursuit of significant expropriation claims before the Iran-U.S. Claims Tribunal, including claims exceeding $200 million. Served as chair of an ICDR arbitration panel involving industry leaders relating to alleged breaches of construction and engineering services contracts for a nuclear power plant. Represented a major North American transportation company in an ICC arbitration against DaimlerChrysler Rail Systems GmbH (Adtranz) and Bombardier Transportation GmbH, involving misrepresentations made during the acquisition of a substantial European business. Used the arbitration process and a related mediation to conclude an amicable commercial settlement between the parties. Represented Mitsui Mining and Smelting Corporation, a large Japanese mining and transportation company, and its subsidiaries in trade, commercial, construction and investment disputes in U.S. and foreign courts and before international arbitral tribunals. Defended Jet Airways, the second-largest Indian airline, in U.S. courts and obtained summary judgment dismissal on grounds of failure of service of process and jurisdiction. Represented a large Dutch equipment manufacturer in a breach of contract action against its U.S. distributor in arbitration proceedings before the Netherlands Arbitration Institute, resulting in a multimillion-dollar judgment against the U.S. distributor. Represented an insurance company in an insurance coverage arbitration brought by a pharmaceutical company under the English Arbitration Act 1996 before an arbitration panel seated in London, England. Represented a leading telecommunications content provider in a generic domain name challenge before the Internet Corporation for Assigned Names and Numbers (ICANN) that was resolved by an expert proceeding under ICC Rules. Represented a leading Chinese telecommunications company in a JAMS arbitration brought by a Japanese telecommunications company relating to the cancellation of a long-term backhaul agreement. Defended a medical device technology leader against bet-the-company patent infringement and royalty claims in arbitration before the German Institution of Arbitration (DIS). Represented a global pharmaceutical company in a $50 million licensing dispute arbitrated under the rules of the World Intellectual Property Organization (WIPO). Represented a global brand name franchisor in an international arbitration against a franchisee involving contract and intellectual property claims totaling in excess of $170 million. Defended a large German technology manufacturing company by quashing service of process and obtaining the dismissal of a Florida state case claiming breach of warranty and fraud and seeking millions of dollars in compensatory and punitive damages. Defended a large German technology company (a subsidiary of Daimler AG) in state and federal court litigation over a technology development and marketing agreement. Obtained full dismissal of all claims. Developed a long-term strategy for a major E&P company in an effort to avoid expropriation of its energy assets in Latin America. On behalf of a leading Japanese supplier of mining equipment and engineering know-how, defended against claims for breach of contract and delay damages relating to the design, engineering and installation of smelting equipment on large-scale mining projects in Asia, Australia and Latin America. Represented a leading European engineering service provider in a defense against ICC arbitration claims arising from the construction of an oil refinery and pipeline. Served as an arbitrator in an ICDR arbitration involving alleged breaches of patent licensing agreements relating to 2G and 3G mobile communications technology. Appointed by parties to serve as sole arbitrator in an ICDR arbitration located in New York relating to claims and counterclaims between a drug developer and a contract research organization relating to a global Phase III clinical trial for a cancer treatment therapy. Appointed by one party to serve in an ICC arbitration in London relating to the construction of a power project in Afghanistan. Served as an arbitrator in an ICDR arbitration arising from alleged breaches of a stock purchase agreement involving the sale of an aviation subsidiary of a European manufacturer. Served as chair in an ICDR arbitration involving commercial and engineering services disputes arising from alleged contractual breaches relating to the construction and operation of a nuclear power plant. Served as arbitrator for In the Matter of Fresh Cut Flowers from Mexico, NAFTA, Chapter 19 Binational Review, Secretariat File No. USA-Mex-1995-1904-05 (Decision: Dec. 16, 1996). Served as arbitrator for In the Matter of Pure Magnesium From Canada (Anti-Dumping Determination), Article 1904 Binational Panel Review Under the United States-Canada Free Trade Agreement, Secretariat File No. 1992-1904-04 (Decision: October 6, 1993). Served as chairman, sole arbitrator and wing arbitrator in various commercial, contract, construction and investment disputes. Represented a U.S. company seeking recognition and enforcement in U.S. and Honduran Courts of a United Nations Committee on International Trade Law (UNCITRAL) award in excess of $60 million against the Republic of Honduras.